Fun Fact: My first blueprint! 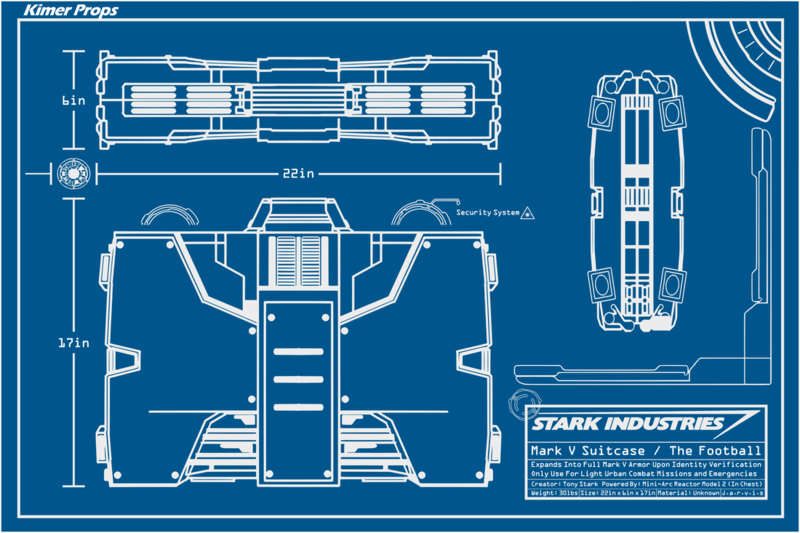 After initially planning on creating the Iron Man Mark V suitcase as a replica prop for my high school Mixed Media class, I had to drop the project due to lack of materials and time. Instead, I created a blueprint of the suitcase. Blueprinting is not my forte since most of what I make is all envisioned, planned, and edited in my head and I usually don't use detailed blueprints, but this project ended up going through to completion. I hope to blueprint my future props so other creators can make what I make! Note: The precise measurements of the actual suitcase were not found but, after cross referencing several 1/6in scale models, movie clips, and information on various webpages, I was able to come up with the most accurate external (length, width, height) dimensions possible.